The Taiwanese Company, Asus, expands its Pegasus product line with the latest device. The company named this device as Pegasus 2 Plus also known as Asus Pegasus 2 Plus X550. The handset made its entry to an exhibition held at China in the past week. 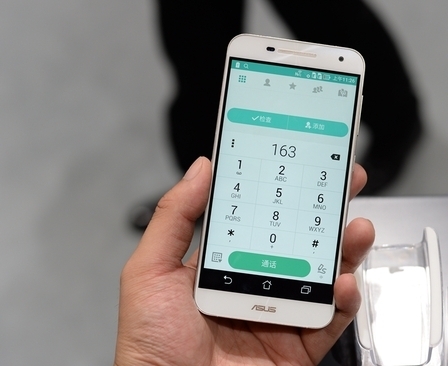 With the launch of Pegasus 2 Plus, Asus tries to firm their grip on smartphone marketing in the world. Now let us have a look on the specifications of this handset in detail. The new handset from Asus features a screen size of 5.5inches with an IPS capacitive touchscreen that supports 16 Multi colours. It has got a screen resolution of 1080*1920 pixels with a density of 441 PPI. Another feature associated is the multi-touch. The chipset that makes the handset function comes from Qualcomm with the model name as MSM8939 Snapdragon 615. The CPU comes with a configuration of Quad Core Cortex A53. The handset functions on the platform of Android v5.1.1 Lollipop. The smartphone has got the support of an internal memory of 32GB. This memory can be expandable with the help of an external memory card. This handset also features a RAM of 3GB, which will be enough to make it function without any lags. The primary camera comes with a lens of 13MP supporting a picture resolution of 4128*3096 pixels. In addition to this the primary camera also supports autofocus facility with dual LED flash. This camera also supports Geo-Tagging facility along with Touch Focus, Face Detection, High Definition Recording and Panorama facility. The front shooter comes with a lens of 8MP. This will be more than enough to have nice and clarity selfies with your loved ones. Pegasus 2 Plus has got WiFi connectivity with a bandwidth of 802.11a/b/g/n supporting dual band and hot spot. It also has got Bluetooth connectivity with v4.1. The smartphone is supported with GPS tracking facility. The USB comes with a v2.0, which enables faster data transmission. The other feature includes an Accelerometer along with Proximity and Compass. Messaging is possible with the support if SMS, MMS, Email, Push Email and so on. Certain other specifications include Active noise cancellation. It has got a MP3, WAV, eAAC+ player for playing music files. For playing video files it has got support of players like MP4, H.264 etc. Other tools include Document Viewer and Photo & Video Editor. 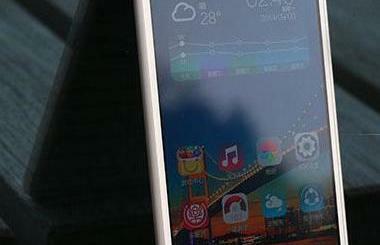 The battery of new smartphone is made of Li-Ion. It has got a capacity of 3030mAh, which will be enough to keep the handset live for more than a day, even after hectic usage. The handset will be available in variants like Rose Gold and White. Unfortunately no information is available regarding its availability in market and also about its pricing.